The civil administration of the Israeli army sanctioned a plan to establish a railway network throughout the West Bank, ignoring all Palestinian objections in this regard. According to Haaretz newspaper, this railway plan ignores all political borders and will limit future Palestinian building projects. The railway will spread like a web all around the West Bank, further disconnecting Palestinian localities and devouring more Palestinian land. The plan contains 473 kilometers of rail with 30 stations on 11 lines. Its final purpose is to connect all settlements within the West Bank. The plan will include dozens of bridges and tunnels according to the geographical terrain. Despite PA rejection of the Israeli railway plan that would construct a 473 km long railway system running through most of the occupied West Bank, Israel pushes forward with the plan having already spent one million NIS on research and preparation. The Israeli railway plan for the West Bank was proposed in 2012, and drew wide criticism. The planned railway system would ignore all international borders; it is more than 473 km long, and consists of 11 separate tracks. The PA strongly opposes to the plan as it would impose Israeli sovereignty over the Palestinian territories, and affirmed that the revival of the plan highlights Israel’s lack of interest in a two state solution. The system is also seen as problematic since it foremost focuses on connecting the Israeli illegal settlements in the West Bank, and not the Palestinian cities. 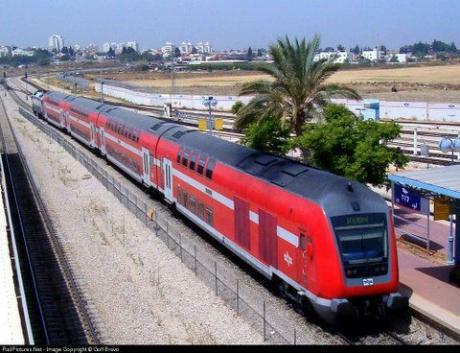 The planning of the rail-system, described on Wednesday by Israeli newspaper Haaretz as “grandiose”, is on going, while Israel's Transportation Minister, Yisrael Katz estimates that by 2035 there will be as many as 30 million train rides a year. International Law and various Human Rights resolutions prohibit occupying powers from changing the geography and demography of occupied territories. Israel's settlements in occupied Palestine, and all constructions, including roads and railways, conducted by the occupying power are illegal. Israel's ongoing settlement activities in the occupied West Bank and occupied Jerusalem as of he main obstacles to peace in the region. Settlements and the illegal Annexation Wall are transforming the Palestinian territories into isolated ghettos separated from each other, and isolated the Palestinians from their lands. The Israeli government has published a new tender to build a settlement neighborhood in Bethel settlement built on occupied Palestinian land east of Ramallah in West Bank, Walla Hebrew website said. The Hebrew website confirmed that the Israeli authorities on Monday put out to tender the construction of a new settlement neighborhood in Bethel after the declaration to resume peace talks between Israeli and Palestinian authorities. The source said that the new tender includes the construction of five 3-storey buildings each consisting of 30 housing units. Walla Hebrew newspaper stated that the Jewish settlers will enjoy privileges including the construction of new neighborhood includes 297 housing units and the extension of the settlement. This is the first tender put out for expanding settlements after the announcement of the resumption of “peace talks” between the PA and Israeli occupation. A Knesset lobby calling itself “Land of Israel Caucus” held a special session after the formal decision to resume direct peace talks with the Palestinians, and reiterated Israel’s interest in continuing the illegal settlement construction and expansion activities in occupied Palestine. The group said that peace talks between Israel and the Palestinians are fruitless, and will never lead to any positive outcome. Several members of Knesset and heads of Jewish settlements in occupied Palestine participated in the session. Head of the Caucus, MK Yariv Levin, stated that the government on Benjamin Netanyahu agreed to the release of Palestinian political prisoners before resuming direct talks, and claimed that this decision violates the fundamentalist Israeli condition that peace talks should resume without preconditions. Furthermore, MK Nissan Slomiansky of the Jewish Home Party stated that Israel should not hold talks with the Palestinians, claiming that both Israel and the Palestinians are not ready for direct talks, therefore, talks would not lead to any breakthrough. Slomiansky added that Prime Minister Netanyahu affirmed to the Jewish Home Parliamentary Bloc that he did grant any commitment to freezing Israel’s settlement activities in the occupied West Bank and occupied East Jerusalem. 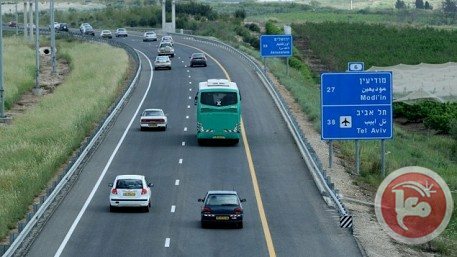 The Israeli District Committee for Planning and Building declared its intention to build a new settlement road, in Haifa in occupied territories, that links between Fureidis and Zichron Yaaqub junctions with the nearby settlement of Nkhcollym. Palestinian farmers in that area expressed their dissatisfaction with the new Israeli settlement project especially that hundreds of dunums of their land will be confiscated. The Israeli new scheme is made to facilitate the movement of settlers living in Nhacollym and Dore settlements. The project area is estimated at 1275 dunums where hundreds of agricultural dunums will be confiscated. Residents in that area rely on agriculture for their livelihood. 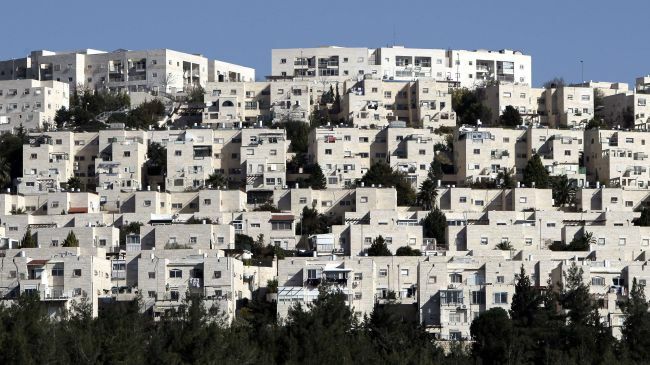 Peace Now organization stated that the Israeli authorities are set to approve five thousand new housing units in West Bank in a record time, Yediot Ahronot Hebrew newspaper said. The Israeli government talks about the two-state solution, while it practices the opposite on the ground," said Yariv Oppenheimer, secretary general of the left-wing Peace Now movement. The newspaper quoted the Settlements Council as saying that all Israeli left parties' attempts to halt settlement construction have failed. There were 120 thousand Jewish settlers in West Bank during Oslo Accords, while their number has now reached 370 thousand settlers, he pointed out. A Palestinian report hailed the European Union's decision to prevent funding or cooperating with people, institutions or organizations from settlements in the occupied West Bank and Jerusalem. The Palestinian National Office for the defense of land and the resistance of settlement said in a report on Sunday that the Israeli response to the decision of the European Union was "hysterical". 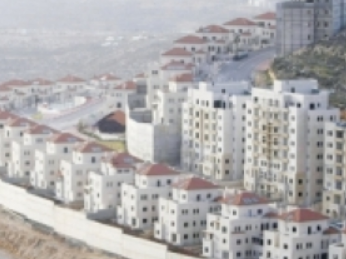 The report pointed out that the Israeli government continued to approve more settlement schemes, as the Supreme Council for Planning and Building approved new plans to build more than a thousand new housing units in settlements in Ramallah, in addition to 732 new housing units will be built in the Jordan Valley. The report revealed that the Israeli government began the construction of the longest street in West Bank which extends at 183 kilometer, and which will connect the cities of the occupied territories with the settlements built on West Bank lands. Hardline ministers in Israel's right-wing government came out swinging on Sunday against any possible slowdown in Jewish settlement building as part of a deal to kickstart peace talks. Their comments come after US Secretary of State John Kerry on Friday said Israeli and Palestinian negotiators had agreed to meet to pave the way for a resumption of direct peace talks, stalled for close to three years. Israeli media have said that while there will be no formal declaration of a settlement freeze, a key demand of the Palestinians for talks to resume, Israeli Prime Minister Benjamin Netanyahu will quietly halt building for the time being. "We must not have a freeze," Transport Minister Israel Katz, of Netanyahu's own Likud party told public radio. "It would be immoral, un-Jewish and inhuman to freeze the lives of people and their children. "The official policy is what counts," Katz added. "I am against a freeze and I don't believe that such a thing will happen. Settlement is strong and growing." The last round of direct talks between the two sides broke down in 2010 over the issue of Israeli settlement building in the West Bank and east Jerusalem. Housing Minister Uri Ariel of the far-right Jewish Home party, told the radio that he did not want to consider even a limited freeze. "It's inappropriate for the Jewish people, for the land of Israel and for a sovereign state," he said. "We are in favor of building as much as possible." Naftali Bennett, chairman of the Jewish Home party, said Saturday that settlements should continue in Jerusalem and the West Bank, saying "history has taught us that building brings life, while the evacuation of communities brings terror," Ynet reported. Kerry gave away very little detail of the agreement, which came after four days of frenetic consultations with Israeli and Palestinian leaders. But Palestinian president Mahmoud Abbas has repeatedly stressed that his demands of a freeze to Israeli settlement building on occupied land and release of prisoners held by Israel must be met before talks can resume. Intelligence Minister Yuval Steinitz on Saturday announced that there would be the release a "limited" number of Palestinian prisoners as a "gesture" for the peace talks. Katz on Sunday took issue with his comments. "I personally oppose the release of terrorist murderers," he said. "If the matter arises in future in the cabinet I shall vote against it." The Israeli Planning and Building Committee issued on Thursday permits to build 16 settlement buildings, comprising 165 housing units, in the settlement of Neve Yaakov built on Palestinian lands in occupied Jerusalem. Settlement expert researcher Ahmed Sab Laban explained in a press statement that the new settlement units will expand Neve Yaakov settlement toward the nearby settlement of Pisgat Ze'ev. These units will be constructed in a strategic area on the lands separating the two settlements, and aim to separate the northern borders of Jerusalem from the West Bank. Sab Laban added that these units represent part of a larger plan to expand Neve Yaakov settlement, which was launched and approved in 2008 and provides for the construction of 393 housing units. He also pointed out that with the beginning of 2009 the Israeli Ministry of Housing issued tenders for the construction of these units. The researcher said that this project represents in one of its aspects a part of the policy of racial discrimination against the inhabitants of Jerusalem. The Israeli authorities do not allow Palestinians in East Jerusalem to build houses with more than four floors and refuse to issue building permits to Palestinians. He pointed out that the occupation authorities began, in a site close to the place of constructions of the new settlement units, preparation for infrastructure for the new settlement project aimed at expanding Pisgat Ze'ev settlement towards the town of Beit Hanina by adding 625 new settlement units. A top Israeli official says Israeli bodies operating in the occupied Palestinian territories have failed to heed even their own rules. In his annual report, comptroller Yosef Shapira said on Wednesday that this is because of a culture of impunity. Shapira focused on the expansion of Israeli settlements in his report, saying there is no authority in the West Bank to respect the rule of law. 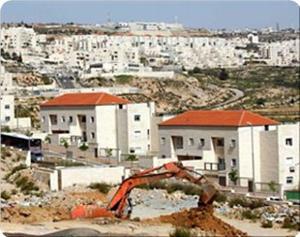 Shapira added that the settlement projects are rapidly expanding without any permission. Israeli human rights group B'Tselem also said the report shows that "Israel's entire law enforcement system in the West Bank is enslaved to the settlement project." 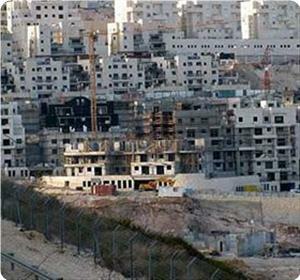 "Any allocation of West Bank land to Israeli settlements is illegal and unacceptable,” B'Tselem added. The UN and most countries regard the Israeli settlements as illegal because the territories were captured by Israel in a war in 1967 and are hence subject to the Geneva Convention, which forbids construction on occupied lands. 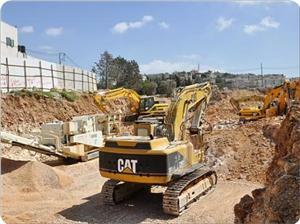 Laborers work on a housing construction site in the Israeli settlement of Har Homa in al-Quds. The European Union (EU) has issued a directive requiring Israel to acknowledge the occupation of settlements in the West Bank, Golan Heights and East Jerusalem (al-Quds). According to a statement released on Tuesday, the move will forbid the issuance of grants, funding, prizes or scholarships unless a settlement exclusion clause is included. The directive is reportedly part of the 2014-20 financial frameworks which incorporate all sectors of cooperation between the EU and Israel, including economics, science, culture, sports and academia. After the release of the statement, an emergency meeting was organized in the office of the prime minister where Ze'ev Elkin, Israel's rightwing deputy foreign minister, and other ministers called for a strict reaction, an ultimatum to Europe and the suspension of all relations with the EU. It was finally decided that Netanyahu contact EU Foreign Policy Chief Catherine Ashton to ask her to delay the official announcement of the decision. A senior Israeli foreign ministry official said that Netanyahu would have told Ashton that in case of the promulgation of the directive he would face internal pressure not to give any concessions to the Palestinian side, driving peace talks to impasse. 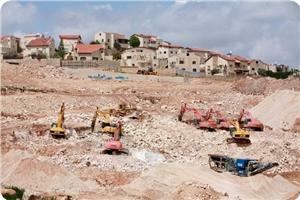 The Tel Aviv regime continues expanding its illegal settlements in the occupied Palestinian territories. On June 26, Israel approved final plans to construct nearly 70 new settler units in East al-Quds. 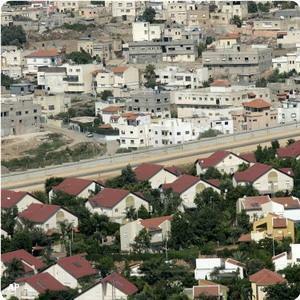 The units will be built in Har Homa, an illegal settlement neighborhood in the southern sector of the city. The settlements are considered illegal by the international community because the territories were captured by Israel and are hence subject to the Geneva Conventions, which forbid construction on occupied land. The continued expansion of the Israeli settlements has also created a major obstacle for the efforts to establish peace in the Middle East. In a surprise last-minute move, the European Union has set forth a strong set of economic sanctions against Israel, leaving that nation both surprised and reeling. The sanctions, stimulated by what the EU refers to as “Israeli intransigence” regarding peace talks with the Palestinians, cover all financial dealings, loans, awards, transfer of “instruments” and severely limiting economic cooperation between Israel and all EU member nations starting in 2014. The sanctions are against any Israeli “economic activity,” not just within what has been referred to as the “occupied territories” but broad areas of Israel that had been designated for the establishment of an “Arab State” in 1949. Those territories extend in an almost contiguous line from the Lebanon border to the Red Sea. Israel has referred to these territories as “Golan Heights, Judea, Samaria and eastern Jerusalem.” The term “Judea” alone could refer to the entire Roman province including large regions of Lebanon and Jordan. Israel has responded with a number of objections citing, initially that they feel the “EU attacks us because we are small,” as cited by Gil Ronen with Arutz Sheva, Israel National News. The sanctions, to be published Friday, July 19, 2013, will prohibit all 28 European Union member states from any economic contacts with Israeli “entities” that operate outside the 1949 Armistice lines. These territories differ greatly from the ceasefire lines of the 1967 war and include up to 25% of the territory of Israel, according to an article in Arutz Sheva. According to that publication, the EU has made further differentiations based on the 1967 truce lines, clearly delineating territories seized as “occupied” and requiring Israel to identify any economic activity originating from those regions for exclusion. EU officials have commented that there has been significant pressure to modify and limit the approve sanctions prior to their upcoming publication. The decision to move against Israel falls on the eve of announcements from France and then Britain to hold back materiel support for pro-Israeli factions fighting against the Syrian government. Germany had previously announced that no aid would be forthcoming. The United States, although announcing, in June, that arms would be supplied, has withheld promised military aid though the Syrian government has made significant advances against rebel held enclaves. “The attack by the EU disproportionate and is likely to have no positive effect on restarting meaningful dialog over the Palestinian question. When it comes to disputed territories, the Europeans prefer to attack a small country like Israel instead of taking on more powerful states, because they are afraid of retaliation. We were only informed at the last moment,” a high ranking Israeli official said. Israel’s position was confirmed by Deputy Foreign Minister, Ze’ev Elkin. In a statement to the press, Elkin referred to the EU directive as a “mistake” likely to undermine any progress already made. "We are not ready to sign on this clause in our agreements with the European Union." Elkin also cited Israel’s failure to get in front of the issues that led to this confrontation which will, as he also stated, “halt all cooperation in economics” and be extremely harmful to Israel’s economy. Thus far, the world press has been unaware of these expanded Palestinian demands that would require Israel to not only stop all settlement activities in areas referred to as “occupied” but over wider areas now settled by up to 1.8 million Israelis. There are already over 550,000 Israelis living in the “occupied zones,” primarily eastern Jerusalem, known as Al Quds, and the West Bank. The EU position impacts nearly one third of Israel’s population, one third of its economic base. The real impetus for increased pressure on Israel has been the failure of western economies and their disastrous currencies. The real subtext for scaling back support for Israel has been seen in the strangely unreported change in America’s deficits. During the last fiscal quarter, the United States has shown a net budget surplus for the first time in decades. Two of the last three months have yielded surpluses in excess of USD 100 billion. The message has been clear to EU leaders, as America has drawn down its role as “policeman of the world,” the real security issue, potential economic collapse, has become less of a threat. What is unlikely to be admitted is the simple fact that the projection of military power to secure resources, when those resources are exploited by multi-national entities, offers a very poor return. Thus, Israel’s current dilemma is much more rooted in its role as an economic liability than in any concerns regarding human rights. The Israeli Higher Planning Council of the Israeli Civil Administration in the West Bank is due to approve on Wednesday, a plan for the construction of 1,071 new settler housing units in six West Bank settlements, watchdog Peace Now reported on Tuesday. Peace Now said, an initial approval was expected to be granted for plans to build 339 units at Galgal and Almog settlements in the Jordan Valley, at Kochav Yaacov and Shilo near the West Bank city of Ramallah and Kfar Adumim northeast of Jerusalem. 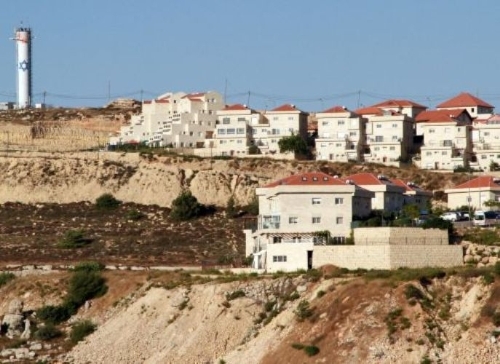 Another 732 units were to be given a more advanced level of approval at the West Bank's biggest settlement, Modiin Ilit, west of Ramallah, it added. 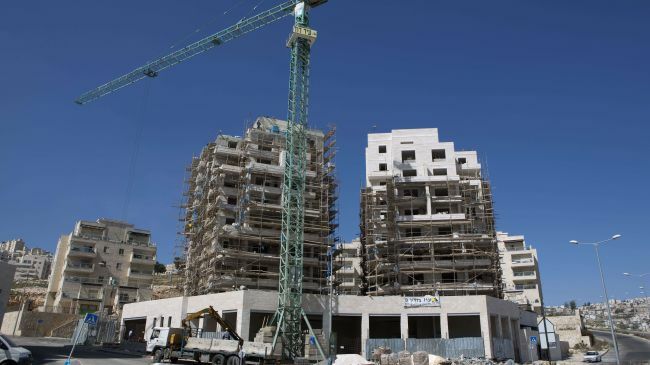 Residents of Deir Qaddis village in the Ramallah and Al-Bireh governorate submitted an objection against the construction plan, assuring that the units are to be built on a Palestinian-owned land, yet the Planning Council rejected the appeals. Yedioth Ahronoth newspaper said on Tuesday that the planning and building committee of the civil administration intends to convene on Wednesday to approve the building of 1,070 housing units in Ramallah city and the Jordan Valley. According to this new plan, the newspaper added, these housing units will be built in the settlements of Novi Forat, Shiloh and Modi'in Illit settlement in Ramallah and the settlements of Kochav Ya'akov and Jaljal Walmouj settlement in the Jordan Valley. 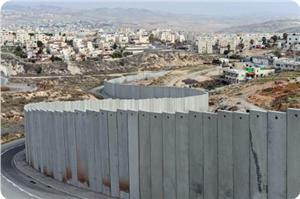 It noted that the committee would also table other construction plans in different settlements in the West Bank. In another incident, the Israeli occupation authority (IOA) approved a plan to seize thousands of dunums of Palestinian lands in Sha'rawiya area, north of Tulkarem, to build a bypass road. The municipal council of Allar village in Tulkarem said that this road would start within the green line between Baqa Al-Sharqiya and Baqa Al-Gharbiya towns and extends into Sha'rawiya area. The municipal council noted that this road would lead to the destruction and annexation of dozens of artesian wells in the area. Civil Administration to meet Wednesday to confirm the decision. Civil Administration to approve 900 units today, with the largest portion of the plan to include 732 units in the Israeli settlement of Modi'in Ilit. Objections come primarily from neighboring town of Deir Qadis. The Civil Administration's Higher Planning Council is set to approve the construction of 900 homes today in various different parts of the West Bank. The largest portion of this plan is the building of 732 units in Modi'in Ilit, a West Bank settlement west of Ramallah, sitting 2.3 km from the Green Line. The settlement is the largest in its region of the West Bank, with a population of 52 060 people. The nearby Palestinian village of Dir Qadis objected to the plan on the basis of a claim that the settlement building would take place on their territory. The Civil Administration have responded by saying that the building will not be built on "private land", according to Ha'aretz. The plan is to be put in place in a meeting on Wednesday. There are number of instances of retroactive approval for settlement building which previously had been rejected which will be taking place today. Other planned building today includes the building of 17 homes in Shiloh, the construction of which had been stopped previously by the High Court of Justice. 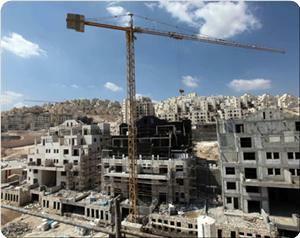 Kokhav Yaakov, near Ramallah, will also have 35 units built. 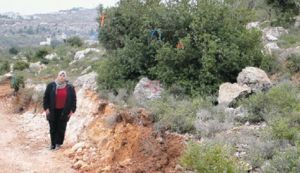 Palestinian residents of Deir Qaddis village, near Ramallah, filed various appeals against the plan, especially as it includes constructions on privately owned lands. Israel rejected the appeals. It is worth mentioning that the Construction and Planning Committee intends to approve more units in smaller Jewish settlements in the West Bank, on Thursday. Abdul-Hady Hantash, a Palestinian expert in Jewish settlements, stated that Israel is just wasting time, and is acting on foiling international efforts to resume direct peace talks. Hantash told the Palestine News Network (PNN) that Israel is trying to convince the United States and the international community that it is interested in peace, but its actions on the ground prove the opposite. He added that Israel’s ongoing settlement activities are direct and serious obstacles to peace in the region, as they comes in direct violation of International Law. The cabinet approved a national plan to develop the Negev with a budget of NIS 500 million ($140 million). The investment will be spread over five years and would be the civilian answer to the procedure of the IDF's relocation to the Negev. The outline was put together by an inter-ministerial committee headed by Director-General of the Prime Minister's Office Harel Locker and Director-General of the Ministry for Development of the Negev and Galilee Orna Hozman Bechor. Israeli authorities have begun construction work on a West Bank road which will link cities within Israel and illegal settlements and outposts, a Palestinian Authority official said Sunday. Ghassan Daghlas, who monitors settlement activity in the northern West Bank, told Ma'an that Road 9 will link the coastal Israeli city of Hadera with illegal settlements in Jenin and the Jordan Valley. The project, due to be completed in 2014, will confiscate thousands of dunams of Palestinian land in the northern West Bank, Daghlas said. Road 9 will be around 183km when finished, the PA official said, calling on the United States to pressure Israel to halt the project. 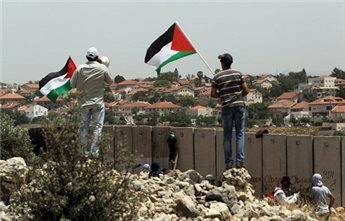 Israel has completed approximately 62 percent of the segregation wall's route, a further 10 percent is under construction and 28 percent is intended for construction, according to a report issued by the UN office for the coordination of humanitarian affairs in the occupied Palestinian lands (OCHA). The wall's total length (constructed and projected) is approximately 720 kilometers, more than twice the length of the 1949 armistice (green) line. The wall consists of concrete walls, fences, ditches, razor wire, sand paths, surveillance systems, patrol roads, and a buffer zone. The report affirmed that some 85 percent of the wall's route runs inside the West Bank, rather than along the green line, and if it was to be completed as planned, the wall would isolate about nine percent of the West Bank, including east Jerusalem. Plans for 10,000 homes over the pre-1967 lines were ready to be marketed in Jerusalem and West Bank settlements, the Israeli Minister for Construction and Housing Uri Ariel said on Wednesday as he called on Prime Minister Binyamin Netanyahu to solve his housing crisis by approving the projects. Ariel’s comments came during the Knesset Finance committee meeting to set the 2013-2014 housing budget. “We have the ability to market 10,000 housing units in [east] Jerusalem and the settlement blocks in West Bank,” Ariel told the committee. 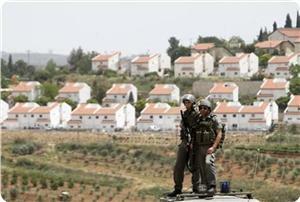 This includes plans for homes in the settlements of Beit Aryeh, Ofarim and Elkana, the Israeli minister said. 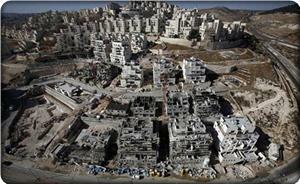 Jerusalem is one of the areas in the country with an acute housing shortage, he added. As a result, he said, prices have risen by 41% from 2008-2012, compared to a 27% hike in the rest of the country for that same period. High purchase prices translate into high rental fees, he said, blaming the crisis for lack of building activity in east Jerusalem. Against the backdrop of the unrest in Egypt and growing chaos in the Sinai Peninsula, the IDF is planning to erect a several-dozen-meter tall obstruction on the Red Sea naval border between Eilat and Taba. The obstruction, the final stage of the Hourglass project to boost the border, will be built in the coming year with Egyptian coordination. planning to erect a several-dozen-meter tall obstruction on the Red Sea naval border between Eilat and Taba. The area is a sensitive spot, which according to the IDF Adom Division in control of the district, could be breached by a diver or a jet ski. Currently, the area is supervised by Israeli Navy ships, Border Patrol officers from a nearby base and other observation posts, both stationery and mobile. In addition, due to rising concern of rocket fire, detection and alert systems have been connected to sirens spread around Eilat, after a Grad rocket fired from Sinai last week did not start the sirens, as it fell in an open terrain north of the city. At the same time, construction of the new border fence between Israel and Egypt is on its last and most complicated stage – breaking through 15 kilometers of cliffs, valleys and crevices in the Eilat Mountains. So far, only 60% of the last stretch have been completed and it is estimated to be completed during the first quarter of next year. In the still unobstructed segments, special forces are at work to thwart the infiltration of terrorists and smugglers. According to the IDF, over the last year, dozens of smuggling attempts have been thwarted, thanks in part to the new fence and to dramatic improvement in the observation capabilities in the area. Dr. Hanna Issa, an expert in International Law, strongly denounced the recent Israeli decision to build nearly 500 units for Jewish settlers in the occupied West Bank, saying the decision is another Israeli violation of International Law, and an attempt to foil all attempts to resume direct peace talks. Issa said that Israel is challenging the International Community, and added that Tel Aviv is wasting time and the efforts of the international community to resume direct peace talks, by escalating its violations and illegal settlement activities. He added that Israel is also violating its international obligations, including the Road Map peace plan, the recommendations of the Annapolis Conference in 2007, and continues its violations of the Fourth Geneva Convention, and the Geneva Protocols. “On July 9 2004, the International Court of Justice ruled that Israel’s settlements in occupied Palestine, including East Jerusalem, are illegal and violate International Law”, Issa said, “The court ruled that Israel’s use of Palestinian natural resources, its violations against the Palestinians, and their lands, violate the Declaration of Principles on Interim Self-Government Arrangements, signed in 1993, and all related agreements signed since then”. Issa added that building and expanding settlements is not only illegal, it also violates that basic rights of the Palestinian people, in the West Bank and East Jerusalem, and that Israel’s illegal settlement activities are depriving the Palestinians from their sources of livelihood. “Israel must stop all of its settlement activities as a first phase before dismantling its settlements in occupied Palestine””, he said, “Settlements jeopardize the establishment of a viable and independent Palestinian State, they violate all related UN resolutions”. Issa added that the unilateral Israeli measures aim causing significant changes to the geography and demography of Jerusalem. “UN resolutions 181, 194, 303, and all resolutions issued later on, call for placing Jerusalem under international protection”, he said, “The Fourth Geneva Convention prohibits changing the demography and geography of the occupied territories, including Jerusalem”. 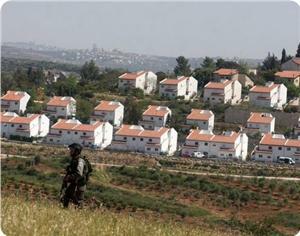 Israel's Civil Administration submitted two new plans to build more than 500 new settlement units. According to the Hebrew Walla website, the first plan includes the construction of 255 units in the settlement of Kfar Adumim in the Benjamin region. The website explains that the second plan includes the construction of 230 new units in the settlement of Maon, south of the city of al-Khalil in the southern occupied West Bank. In the details of the two plans, the settlement of Kfar Adumim, which is inhabited by nearly 400 Israeli families, will be significantly expanded through the construction of these units. The website notes that under the new plan new residential buildings, public institutions, commercial area and streets will be constructed, in an attempt to settle 120 extra families in the settlement. Those plans comes in light of the statements made by the Israeli Prime Minister Benjamin Netanyahu and the Minister of Defence Moshe Ya'alon, who confirmed that the settlement construction will continue, in conjunction with the efforts of the U.S. administration to renew the negotiations with the Palestinians. 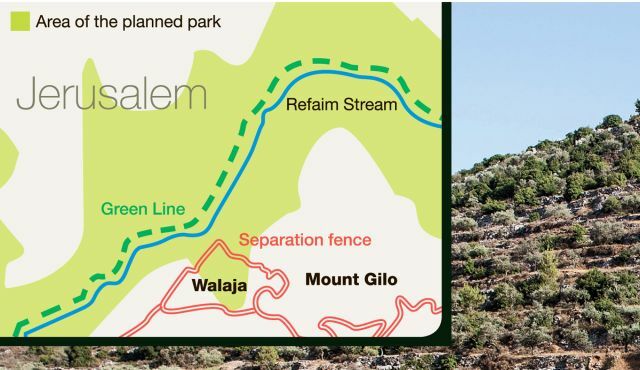 The Refaim Valley Park will cover more than 1,425 acres, ‏at the southern exit of Jerusalem where the Green Line passes through. The Jerusalem Planning and Building Committee has approved the establishment of a new national park in southern Jerusalem, part of which will include the lands of the village of Walaja. The boundary of the park will run along the security fence, which separates the villagers of Walaja from their farmland. However, the approval of the park also stops the establishment of a large settlement planned for the area. The Refaim Valley Park will cover more than 5,700 dunams, or 1,425 acres, ‏ at the southern exit of Jerusalem and will be part of the large urban park to surround Jerusalem on three sides. The Green Line runs through the base of the Refaim Valley, through which the park runs. An estimated 1,200 dunams of the park are terraced farmlands belonging to the villagers of Walaja. In fact, preserving the historically significant of the terraces is one of the reasons cited for creating the park. But villagers say the main threat to the ancient culture of terrace agriculture comes from the security fence under construction. In consideration of residents’ objections, the committee stipulated that one of the park’s aims is “preserving the organic cultural landscape” and the agricultural terraces. The plan includes elements to protect the terraces from damage by visitors. But once the fence is completed Walaja’s farmers will only be able to access their fields by means of gates in the security fence. The national park plan prohibits habitation of the park; as a result, two families now living there, in caves and tin shacks, will be forced to leave. Walaja’s residents are apprehensive about the decision to create a national park. The security fence that now surrounds the village has just one opening in the direction of Beit Jala, northwest of Bethlehem. “The government wants to fence us in, first the fence and now the park and in the end they’ll build a settlement there,” Ahmad Sallah Barghout of Walaja says. Forty dunams of his land, and his parents’ graves, are within the boundaries of the new national park. The original proposal submitted for the park included a birding center, dining facilities, sports facilities and a shooting range. The committee did not approve the shooting range. The Jerusalem Planning and Building Committee has approved the establishment of a new settlement park at the expense of Walaja village's land in southern Jerusalem, Hebrew media sources said. 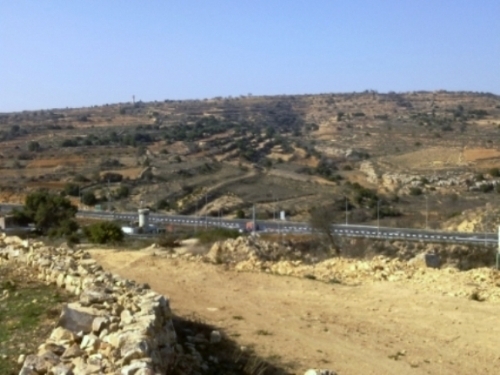 The boundary of the park will run along the Apartheid Wall, which separates the villagers of Walaja from their farmland, according to Haaretz newspaper. "The Refaim Valley Park" will cover more than 5,700 dunums, or 1,425 acres, ‏ at the southern exit of Jerusalem and will be part of the large urban park to surround Jerusalem on three sides. The Green Line runs through the base of the Refaim Valley, through which the park runs, the newspaper explained. Haaretz stated that 1,200 dunums of land of the park are terraced farmlands belonging to the villagers of Walaja. Villagers say the main threat to the ancient culture of terrace agriculture comes from the Apartheid Wall under construction. An Israeli official said, “changing the character of the area from Palestinian farmland into an Israeli recreational site fits in with the plan to create contiguity between the holy city and the settlements surroundin." Avigdor Lieberman, the head of the Knesset foreign affairs committee, made on Friday a provocative tour in Wadi Hilwa neighborhood, south of the Aqsa Mosque. Palestinian sources said that director of Elad settlement society David Perry accompanied Lieberman during the tour under tight military and police protection. The Israeli officials visited during their tour Ir David outpost located at the entrance to the neighborhood and an excavation site in Wadi Hilwa. 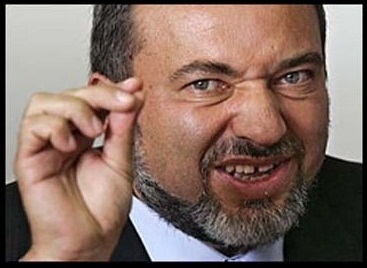 The sources affirmed that Lieberman's visit raised the ire of the Palestinian natives of Wadi Hilwa, which prompted him to end his tour sooner. Israeli sources, in turn, said that Lieberman carried a message of support from the Knesset right wing to the Jewish settlers in Silwan and gave financial aid to the settlement outposts in the district. The sources noted that a delegation of wealthy American Jews had paid a visit to Silwan district a week ago and met with the director of Elad society. They added that the American Jews pledged to increase their financial support for the settlers in Silwan and work on seizing more Palestinian real estate. Israeli Construction and Housing minister, Uri Ariel, called for accelerating the building of the alleged Temple on the ruins of al-Aqsa mosque. The Jews have built a lot of temples, but they are now in dire need to build the real Temple on the ruins of al-Aqsa Mosque, Israeli media sources quoted Ariel as saying. For his part, a member in the extremist right-wing Jewish Home party stated that establishing a Palestinian state is a "fairy tale", saying that Israel is the only state between the Jordan River and the Mediterranean Sea. Following the Housing minister's statements, Arab Member of Knesset Ahmed Tibi said that these statements prove the extremism in the Israeli government. These statements constitute a flagrant violation of international conventions, he noted. Dozens of Palestinian and international activists closed on Thursday, the road of al-Nashash checkpoint in al-Khader village near Bethlehem, in protest against the visit of the Israeli Minister of Transport who was coming to launch a new settlement road in the region. Dozens of activists gathered in the area, while Israeli Army Forces were deployed, separated the activists and opened the road in front of the delegation of the Israeli minister. 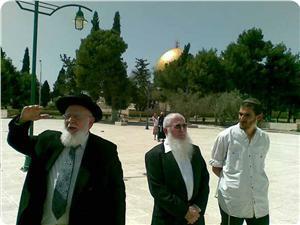 The Aqsa foundation for endowment and heritage said that the Israeli company for the reconstruction and development of the Jewish quarter intends to establish a tourist saloon over the roofs of Palestinian commercial stores in Al-Lahhamin and Attarin markets in the old city of occupied Jerusalem. The Aqsa foundation stated on Tuesday that this plan is a Judaization project par excellence and falls within the all-out Judaization campaign that is executed by the Israeli municipal authority in Jerusalem and its business partners. The foundation warned that this project would tighten the Jewish grip further over the the old city and would serve as a new outpost in its heart and near the Aqsa Mosque. 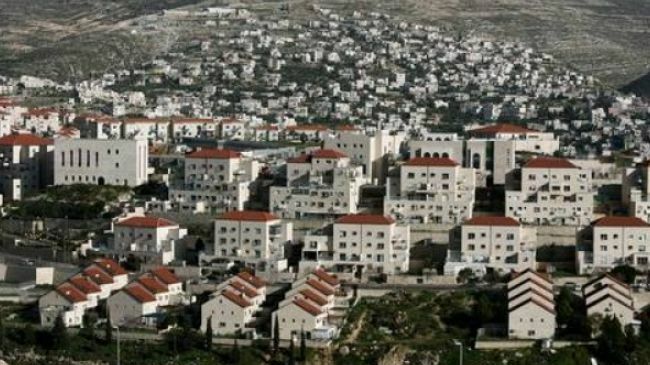 The so-called Jerusalem municipality's finance committee approved Monday the establishment of 900 housing units in Abu Ghneim (Har Homa) settlement. Israeli media sources said that the finance committee provided 50 million shekels in assistance for building 900 housing units where it will shoulder the cost of developing public infrastructure such as roads, pavements and drainage in the neighborhood. Buyers would then enjoy a 95 percent discount in a move which would cost the ministry 100 million shekels, Maarif Hebrew newspaper said. Last week, the municipal planning committee granted final approval for another 69 new homes in another area of Har Homa on the eve of Kerry's arrival to the region to re-start talks between Israeli Prime Minister Benjamin Netanyahu and Palestinian president Mahmud Abbas. The information center for wall and settlement affairs in the West Bank said that the Israeli occupation regime had built 3,341 new settlement units and demolished 23 Palestinian homes and structures last month. In its monthly report, the center stated that most of the Israeli demolitions took place in the Jordan Valley and Jenin, adding that Israel also issued during last June 74 demolition orders against Palestinian homes and buildings in Al-Khalil, Jerusalem and Bethlehem. According to the report, Israel built 3,341 housing units in the settlements of Abu Ghuneim Mount (Har Homa), Gilo, Itamar, Barkan, Ramot and Susia. The report also covered the Israeli Judaization activities in Jerusalem and pointed out to different plans to build Jewish buildings, underground corridors and roads in occupied Jerusalem. The report also said that the Jewish settlers under military protection assaulted more than 14 Palestinian citizens in the West Bank, and burnt and damaged more than 30 cars during the reporting month. During the month, the Jewish settlers also tried to burn a stone cutting machine in Hawara town and steal Palestinian antiquities in Wadi Rahal in Bethlehem. The District Committee for Planning and Building revealed its intention to expand Mevo Huron settlement built on Palestinian lands in Latrun area. Dr. Khalil Tufkaji, Chairman of Maps Department at the Arab Studies Society, stated that mentioned area was occupied since 1967 where Yalu and Emmaus villages were destroyed and its residents were displaced before the cease-fire. Tufkaji said that a part of Qalqilya and Beit Awwa were destroyed also during that period. 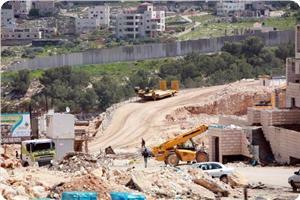 The occupying forces have confiscated 58 square kilometers after destroying the two villages. The Palestinian expert pointed out to the establishment of new settlement in the area as part of the Israeli Judization scheme to build the Jewish neighborhood in occupied Jerusalem. Tufkaji said that the Israeli authorities aim to maintain its control over all the area and refuse any negotiation concerning it. The Gaza government charged that the USA had no vision for a Middle East settlement and was sending its secretary of state John Kerry just to procrastinate the crisis. Kerry concluded on Sunday his fifth tour of the region in a bid to revive the settlement process between Israel and the Palestinian Authority in Ramallah. He said that a real breakthrough was achieved thanks to his efforts. Dr. Yousef Rezka, the political advisor to premier Ismail Haneyya, said in a press statement on Monday that the American administration has no real plan to revive the peace process. He said that Kerry was pressuring Ramallah exploiting the American financial support without which the PA could not survive. 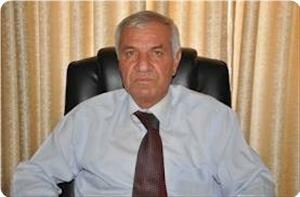 Rezka urged the PA not to bow to pressures and to turn its concern instead to the internal Palestinian situation. The advisor warned of the weakness of the Palestinian negotiator and of the absence of the Palestinian people and forces in consultations over any tabled project. He finally regretted that the Arab position was still weak in this issue despite the Arab Spring revolutions. The Director of Jerusalem's Religious Endowments (Waqf) Foundation, Sheikh Azzam Al-Khatib, confirmed the Foundation's refusal to deal with the Israeli Tourism General Company's project to establish a park in the Old City in occupied Jerusalem. The Foundation appealed against the Judaization project that aims to create new roads to facilitate settlers' movement in the Old City. Al-Khatib told PIC that Endowment Foundation will stand firmly against this project and will work for the protection of the Endowment properties in the Old City. Israeli Tourism General Company has notified the traders in the Old city markets to facilitate the construction of a park above their shops. The Lutheran Church, for its part, appealed against the project especially that it owns Endowment properties in the mentioned area. 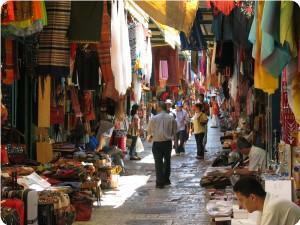 For their part, the Palestinian traders expressed their rejection to deal with the company's engineering teams. Israeli media say Prime Minister Benjamin Netanyahu has rejected Palestinian preconditions for talks, which urge Tel Aviv to halt its illegal settlement activities and release Palestinian prisoners. During a recent conversation with a senior Israeli minister, Netanyahu said he had no intention to declare a settlement freeze in the occupied West Bank or release Palestinian prisoners as preconditions for the talks between the Palestinian Authority and the Tel Aviv regime, Ynet reported on Sunday. “He (Netanyahu) ruled it out, and his only goal is to resume negotiations without preconditions,” Ynet cited the Israeli minister. According to Israeli human rights group B’Tselem, more than 4,700 Palestinian prisoners, including about 170 administrative detainees, are currently being held in Israeli prisons. The administrative detention implemented against the Palestinian population is a sort of imprisonment without trial or a formal charge, allowing Israeli regime forces to make detentions for up to six months. However, the detention order can be renewed for indefinite periods of time. On Sunday, US Secretary of State John Kerry wrapped up his four-day tour of al-Quds (Jerusalem), which aimed to revive the so-called Middle East peace process, without any agreement on resuming the Israeli-Palestinian talks. Kerry held meetings with Acting Palestinian Authority Chief Mahmoud Abbas and several Israeli officials. “We started out with very wide gaps, and we have narrowed those considerably,” the US secretary of state said. The United States, as a permanent member of the UN Security Council, has supported the Israeli regime on several occasions by vetoing resolutions against Tel Aviv.